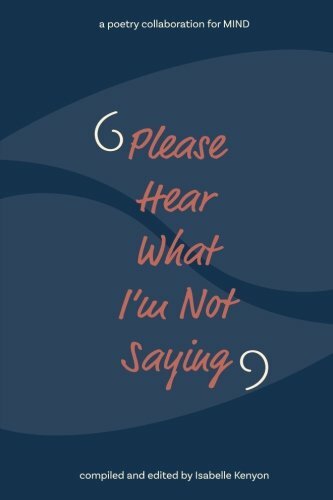 ‘Please Hear What I’m Not Saying‘ is an anthology of mental health themed poetry, with the proceeds going to UK Mental Health charity Mind. With many poets from varying backgrounds, the writing tackles numerous subjects: isolation, phone calls, hospital stays, parental concerns, and in poem ‘Dyslexic I am not’ by Barry Fentiman Hall, a diagnosis, and disorders: anorexia, OCD, dementia, to name but a few. Some of the poets included were familiar to me: CR Smith, Linda Crate, Melissa Jennings, and not so familiar: Angela Topping, Jade Moore, Neil Elder. There are different styles, interpretations, of mental health. ‘For the Swimmers’ by Sarah Wallis, ‘Colours’ by Rachel McGladdery, and ‘Diagnosis’ by Jane Burn are free flowing, whilst other poems pack a punch in very few sentences. From ‘The Sound of Metal’ by Anna Kander, to ‘Jane’s Prayer’ by F.A.Peeke, ‘Soot’ by Owen Gallagher, to a ‘Bird with Broken Wings’ by Kelsi Rose, and then the very last poem in the book, the poems throughout are giving you much to contemplate. That there are over a hundred poets within these pages I think shows how important we consider the subject of mental health and how it touches our lives, whether indirectly, or personally. There are so many lines you could take from these poems that I highlighted, which conveys exactly the common thread in all of these disorders, and in doing so we all could probably all identify, and say that’s exactly how it can be. I took heart from this book, which is gorgeous (in spite of its contents) and Isabelle Kenyon has done an exemplary job on compiling, and editing, Please Hear What I’m Not Saying. 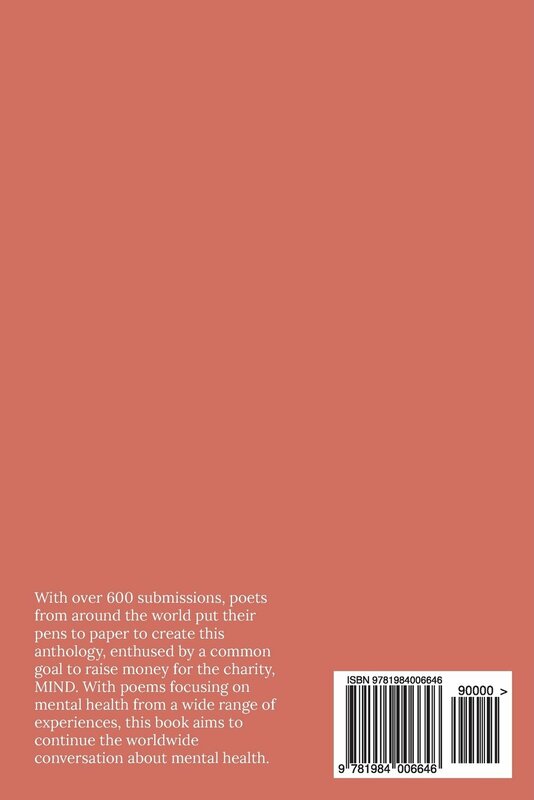 With over 600 submissions, poets from around the world put their pens to paper to create this anthology, enthused by a common goal to raise money for UK mental health charity, Mind. 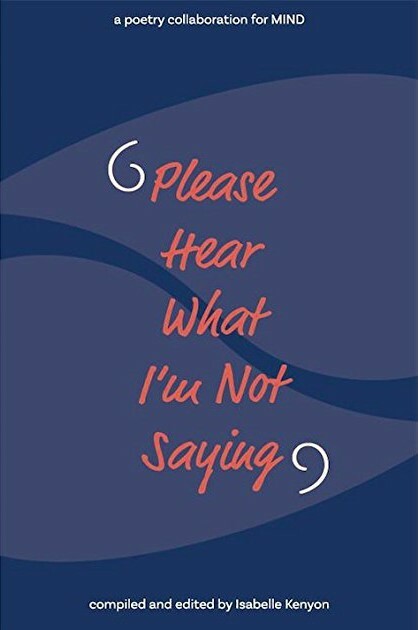 With poems focusing on mental health from a wide range of experiences, this book aims to continue the worldwide conversation about mental health. The profits from this book go to UK Charity, Mind. Trigger warnings by chapter: Section One: References include war, depression, grief, alcoholism, bulimia, trauma, suicide Section Two: Sexual abuse, self harm, suicide threat, Borderline personality disorder, electro shock therapy, razors Section Three: Postpartum depression, hospital ward Section Four: Anxiety, pills, Borderline personality disorder, eating disorder Section Five: Poverty Section Six: Alzheimer’s Section Seven: Depression Section Eight: Therapy. Born with a pen in her hand, Katie Lewington has continued to write since the year dot, and develop her unique style of writing. She has self-published several chapbooks of poetry on her travels, experiences of love, and humorous food themed pieces too. 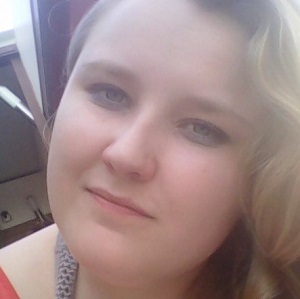 She works on her blog The Poetry Hub reviewing books, sharing poetry, and interviewing writers. She likes to engage with other writers and bibliophiles through social media.